London-based photographer and food artist Carl Warner created this English coastal scene made entirely out of carpet. The project was commissioned by royally-appointed Brintons, a 200-year-old company that produces award-winning carpet solutions for commercial and residential use. Carl Warner is best known for his Foodscape work—landscapes, scenes and portraits made from real food. From his London studio he creates photographic images, films and animation for a wide variety of clients, advertising agencies and exhibitions. See more of Carl Warner's work on Behance or at his website. 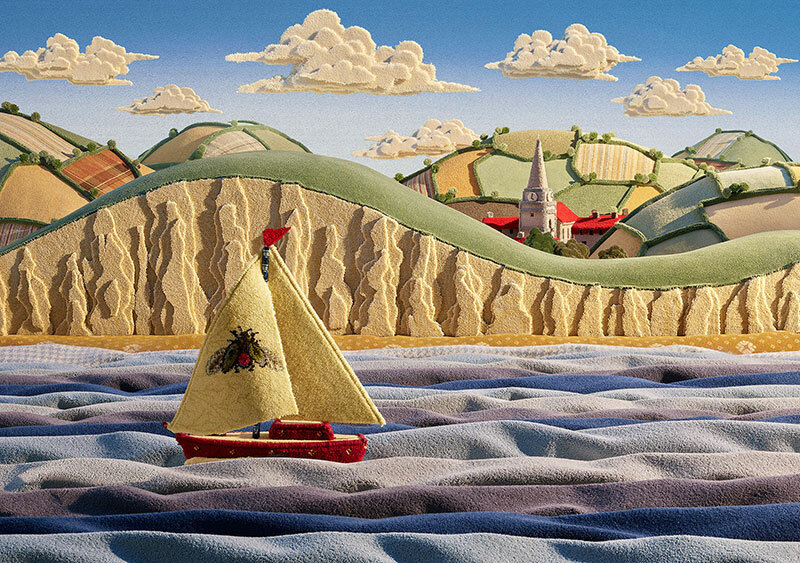 London-based photographer and food artist Carl Warner created this English coastal scene made entirely out of carpet.